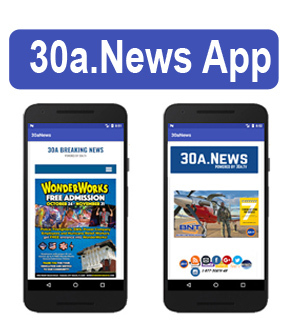 GASKIN, Fla – Two Walton County Fire Rescue firefighters and a local business owner help save a young doe who was injured after becoming entangled in a downed fence. 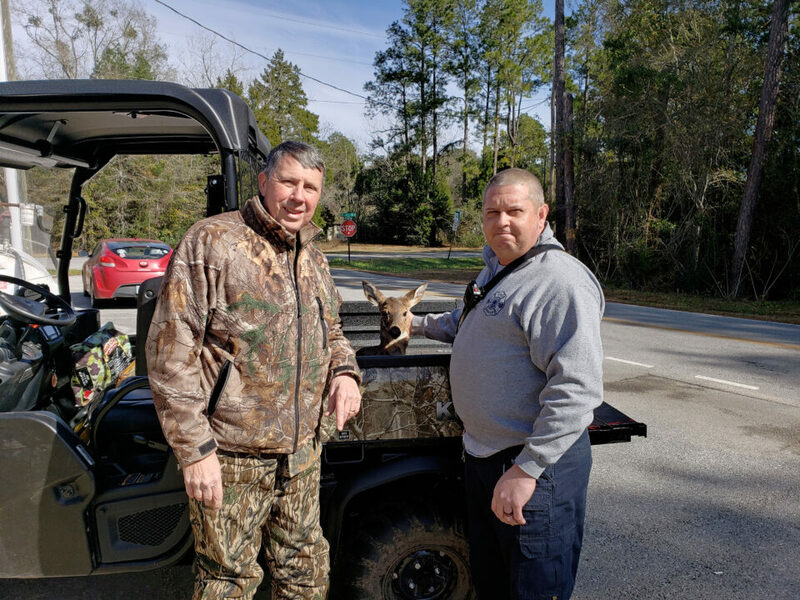 Around 11:00 AM on Wednesday, January 31, 2019, Roy Majors, owner of Jimmy’s Gun & Pawn Shop in Fort Walton Beach, contacted Walton County Fire Rescue crews working at Station 3 in Gaskin and informed them that he had found a yearling trapped in a fence that had recently been cut down. Lieutenant Marc Stankiewicz and Firefighter/EMT Nick Bradley drove over to the property and saw that the young doe had significant injuries to two of her legs. 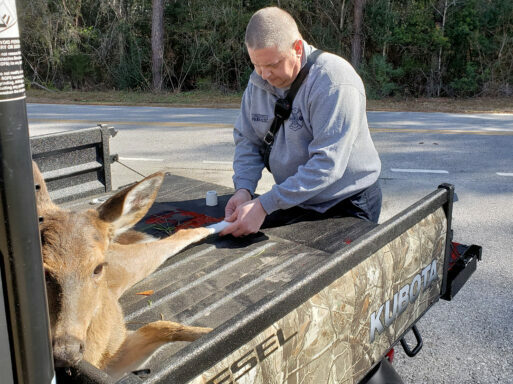 They contacted Florida Fish and Wildlife Conservation Commission and quickly loaded the young doe into Mr. Major’s utility vehicle and transported her to the nearby fire station. Once at the station, Lieutenant Stankiewicz, a certified paramedic, dressed the yearling’s wounds to stop the bleeding. 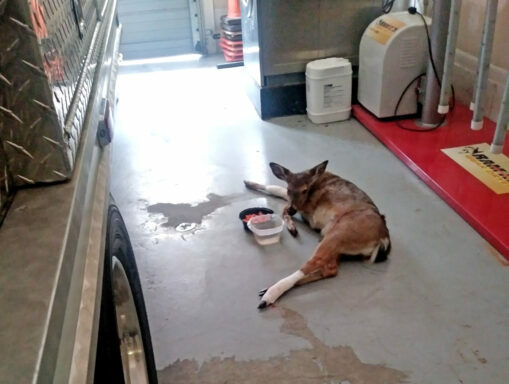 The firefighters gave the young deer a bowl of water and sweet potatoes while she rested in the station’s engine bay, waiting for help to arrive. The injured yearling was rescued and taken to the Emerald Coast Wildlife Refuge where she will be rehabilitated and then released. Be the first to comment on "FIREFIGHTERS AND LOCAL BUSINESS OWNER SAVE INJURED DEER"